Who’s kids LOVE to destroy styrofoam? And it reminded me of a post I saw on one of my mom sites that said her daughter kept on ripping stuffed animals up so that she could get to the stuffing and tear it. Alot of moms said that she probably wasn’t being intentionally destructive, but perhaps just needed that sensory stimulation she got by turning something big into little pieces. So, with the absolute joy my kid got from his 2 seconds of styrofoam destruction as well as that observation in mind, I created this sensory styrofoam snowman! 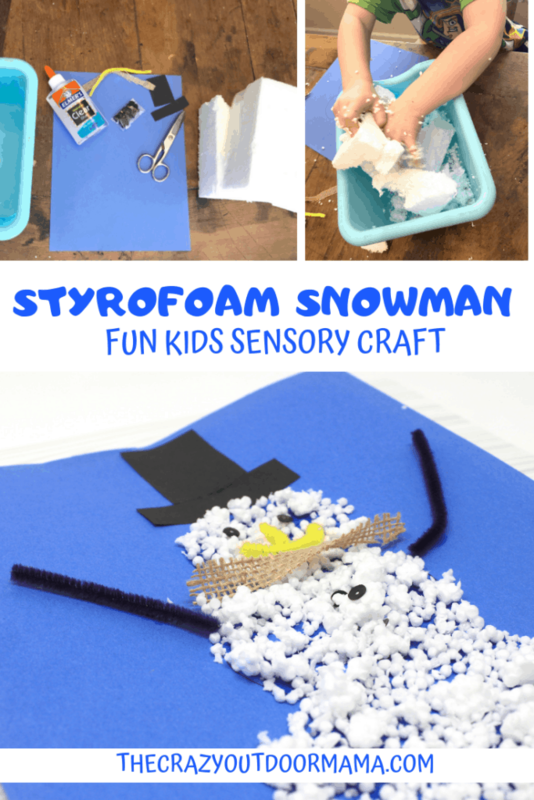 It’s a pretty unique snowman craft in that kids get to destroy something to make something and get in some pretty good sensory play! It’s also unique in the fact that it IS messy… and I know mess free is popular. But hey, whoever said fun was neat and clean! When I bought my guy over and told him he needed to HELP me tear apart STYROFOAM, he rushed over… AWAY FROM BLIPPI! For any parents who have kids into Blippi, you know that means alot! And oh my gosh… he laughed hysterically (See below!) the whole time he was tearing it up! I HAD to include a picture of him in this post – he was having that much fun! 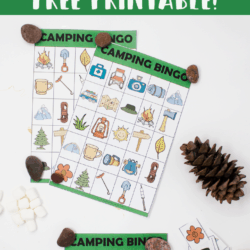 Be warned… this activity is not for the faint of heart if mess bothers you. I didn’t know how staticky styrofoam is, and the stuff was everywhere! In kids hair, the side of the table, on our clothes… an immediate vaccume session happened after! But my little guy had so much fun, I might do it again the next time I get some shipping styrofoam! Anyways, here is what you need! You could omit anything you want, because I’m pretty sure the funnest part for the kids is just the styrofoam destruction and gluing! Pipe cleaner – I used this for his arms, nose and mouth! Snowman decor – Cut paper out for his hat, material for scarf eyes and buttons. How to make this fun winter sensory craft for kids! Be warned, this gets messy! 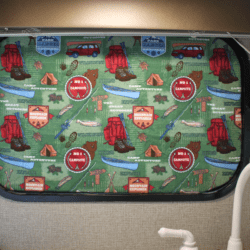 Be prepared to vaccume or sweep right after.. but your kid will have so much fun, it will be worth it! Doesn’t have to be perfect! 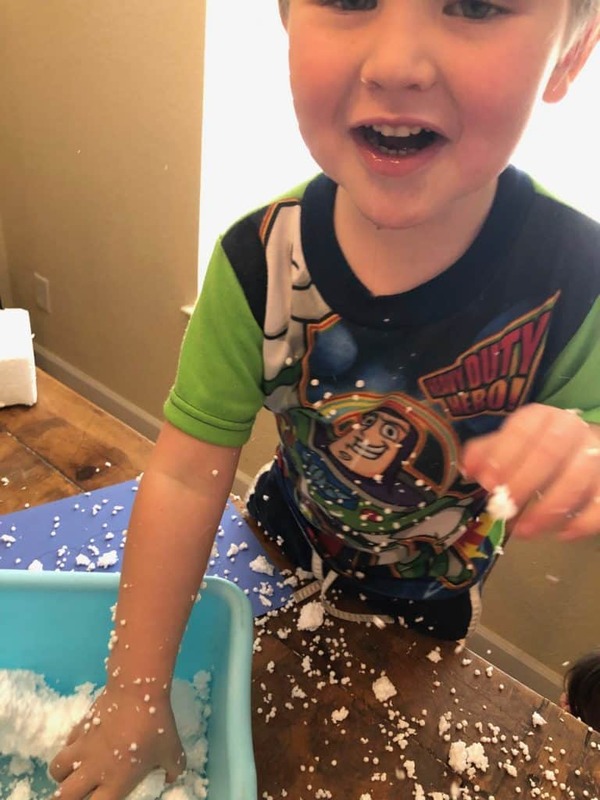 Ask your child to break up the styrofoam into tiny pieces! Here’s the fun! Make sure they break it up over the bin so that hopefully a good portion of it lands in there and not everywhere else! Make sure to get the edges so that it definitely has the shape of a snowman! 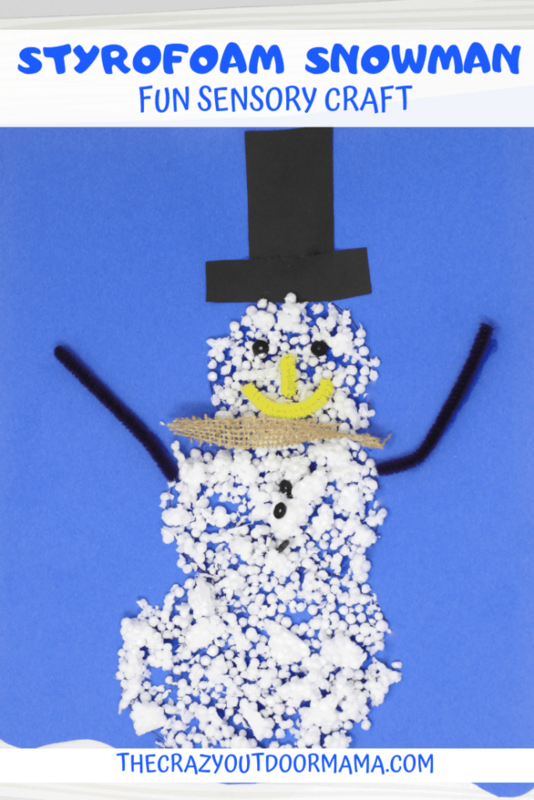 Ask your child to get a handful of styrofoam pieces and sprinkle them all over the snowman! Then hold it up once they’re done to get rid of any excess that aren’t glued on! Decorate your snowman as you’d like! A hat is a must (I just cut one out of black construction paper) but buttons, arms etc are also nice! I used pipe cleaner for the arms, mouth and nose, and sequines for eyes and buttons! Don’t forget to pin it if you loved it <3 Thanks! I hope your kiddo has as much fun with it as mine – it’s really the only thing that justifies the mess! 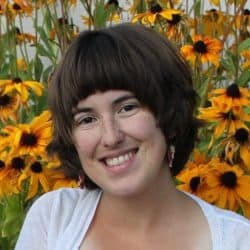 I’d love any feedback you have! Absolutely adorable ❤️ Such a cute and simple idea! Thanks!! My little guy really REALLY enjoyed this one!